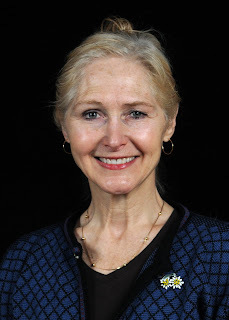 Roxanne Corff has been Seattle Opera's Medical Consultant for Amelia. "I had the great pleasure of being asked by a friend of mine who recommended me to Speight Jenkins for the role of Medical Consultant for the production of Amelia. From the first production meeting on April 5th to opening night on May 8th, I was part of this great creative adventure. First order of business was to arrange a tour of Harborview, so that the medical scenes in Amelia could have verisimilitude. But we had a problem: how can you take a large group of production staff through a working Regional Trauma Hospital in hopes of catching the essence of resuscitation? I set up what we call a mock code, in which we practice how a resuscitation should go. Coordinating with my Clinical Manager Laura Nelson and the Clinical Nursing Education Department's Nicole Kupchik, and many others, we put together a presentation in Harborview's Isis Learning Lab so the singers and performers could "watch one do one"; view a resuscitation scene and then return the demonstration. They also had the experience of practicing CPR on some manikins to unforgettable music with the right beat to deliver the correct heart rate. 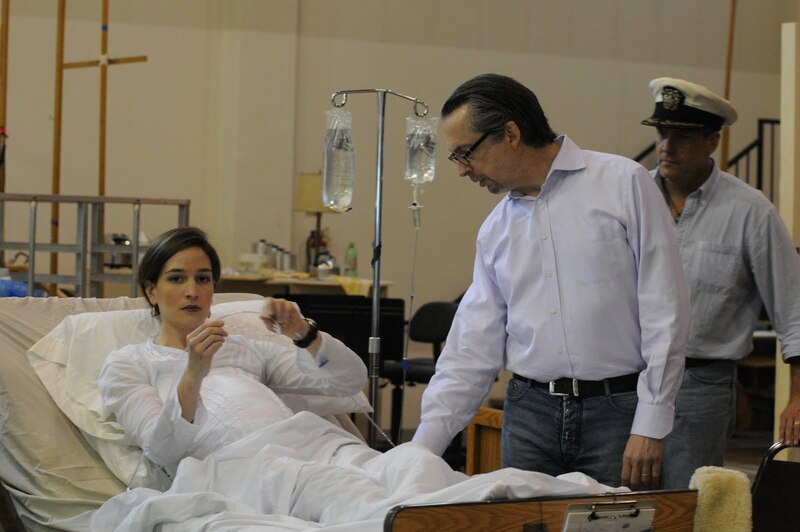 With the full support of top managment at Harborview, we were able to provide props and material for the medical scenes in the opera." CLICK HERE to watch a video feature about this unusual evening at Harborview. "I also arranged for a tour of the UW Birthing Suite, as requested by the Director of Production. On a busy Friday afternoon we convened at the UW Hospital. We took pictures and were granted the loan of some equipment for staging, for which we are very grateful. Set designer (and UW Professor) Thomas Lynch commented in a quiet sort of awe at one point on the doors in a hospital, how they really conveyed "hospital"--and when I finally saw Amelia on the McCaw Hall stage, there they were!! I was a witness to his creative genius. Then we began rehearsing the medical scenes. I went to the rehearsal studio every night after work at Harborview for several weeks before opening night, to work with the wonderful director Stephen Wadsworth, an amazing humanist who helped each artist see and feel each character’s role with humor and passion. He instructed me and the production crew that I was to be his shadow, running along and seeing the medical scenes from his inside view and adding as much medical veracity as we could. Karen Vuong, who plays the nurse, and I naturally bonded; she was wonderful to work with. Then Kate Lindsey and Nicholas Coppolo, playing patients, had to joke and gambol their way through the intimacy of being in gowns, in beds, and Stephen Wadsworth let them take the time to laugh through the rehearsals so they could be comfortable and serious on stage. As they got further along, I could sit back and watch it unfold, adding fewer and fewer corrections. And in quiet contemplation there is real emotional catharsis for me. It caught me off guard when Luretta Bybee (right, Rozarii Lynch photo), singing the role of Amelia's mother, Amanda, brought me to tears with her incredible mixture of hope, fear, and bravery she was feeling in the face of the terrible news that her husband was lost in Vietnam. It reminded me of the astounding bravery and strength I have witnessed in families when faced with terrible, impossible news. As healthcare professionals, we are trained to be professionally calm. 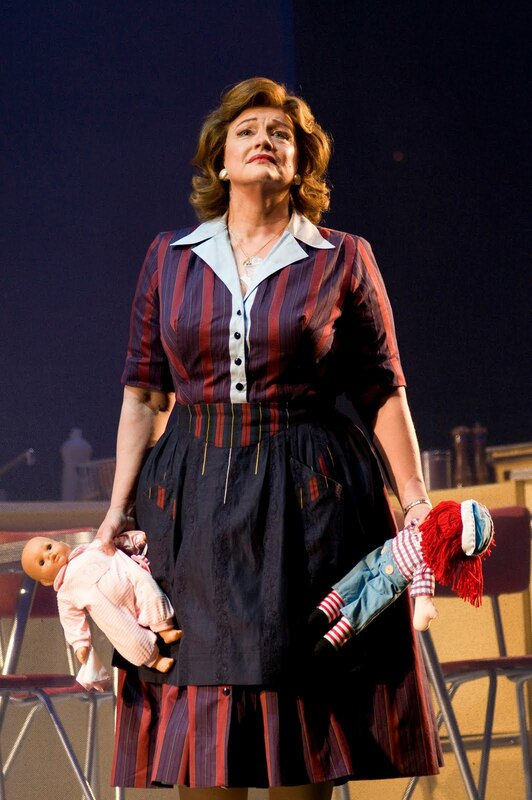 So watching the opera develop was a luxury of emotion. I have worked for 10 years in intensive care, then 18 years in the emergency department, and have found emotions catch up to me eventually, and a great way to cope is in experiencing performance art. It was amazing to be an observer and aid in this artistic process, rather than "just a nurse". I felt Stephen Wadsworth really gets it; how painful and wonderful it is to be a professional healthcare worker. 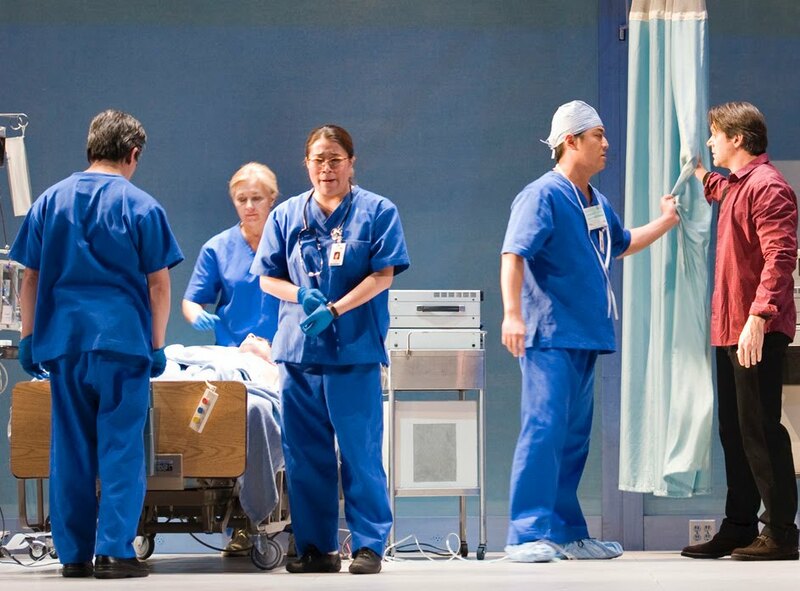 And when Karen Vuong's character took moments alone in a room after her patient died to collect herself, I felt her deep involvement and committment to her role very keenly. In the last scene in the delivery room there is great joy at the same time a scene unfolds with great sadness and sorrow - just as it ever was and ever is. I feel the grandeur of our little lives as the stars come out again in the sky in the last scene of Amelia.